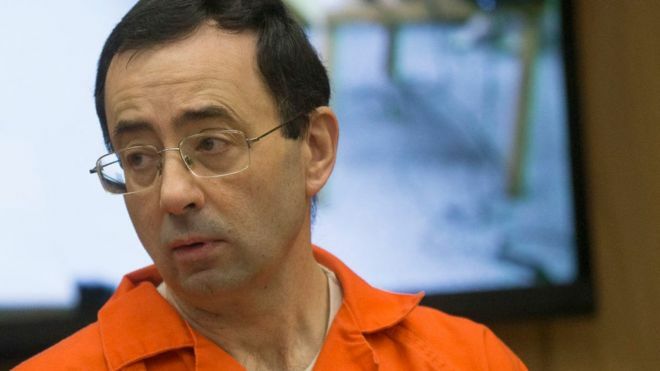 Michigan State University has agreed to pay $500m (£371m) to gymnasts who were abused by ex-team doctor Larry Nassar. The deal was announced by a California law firm representing 332 victims of Nassar, who assaulted women and girls under the guise of medical treatment. The deal does not include any non-disclosure or confidentiality agreements, according to a statement from lawyers and the university. It does not address allegations against other groups for which Nassar worked. It does not address claims against USA Gymnastics, the US Olympic Committee, or the owners of the Texas facility where gymnasts trained, according to a statement from the California law firm of Manly, Stewart & Finaldi in Los Angeles. According to the lawyers, $425m will be paid to the claimants, and another $75m would be set aside for any future allegations against Nassar, 54, and the university. The lawyers' statement does not address how the money will be allocated to each of Nassar's accusers.